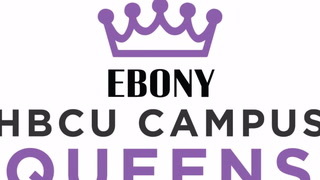 During my tenure at Hampton University I have been a part of Quintessence Executive Council, the Hampton Players, WHOV News Station, Majestic Dance Troupe, homecoming committee and currently serve as the college influencer for Warner Music. Upon graduation, I aspire to become an on-air entertainment reporter for a major entertainment network. When I am off camera I hope to have the opportunity to produce content that not only entertains our audience but brings awareness to what's happening in society. As my reign as Miss Hampton University I will be promoting my platform UPLIFT: Leading Influencers through the arts. As a young lady who serves as a product of the performing arts I understand how important it is to merge the arts and education to enrich the minds of the youth today. This past August I was blessed to organize a backpack giveaway to 100 low income families and the goal is to go up by 100 every year.